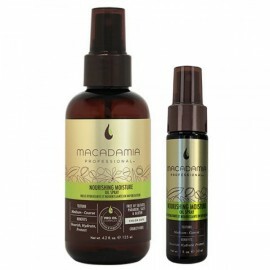 beautifying problem hair via a modern application of Macadamia and Argan oils. It focuses on the curative powers and results of time-tested, nature-based ingredients. 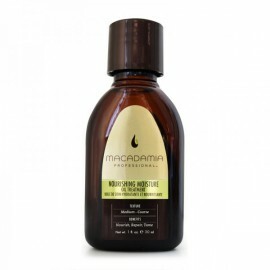 Macadamia Natural Oil™ melds the unique properties of macadamia nut oil and the rare luxury of argan seed oil to create the ultimate in everyday indulgence; a product that heals, nourishes, revitalizes and rejuvenates even the most problem hair. 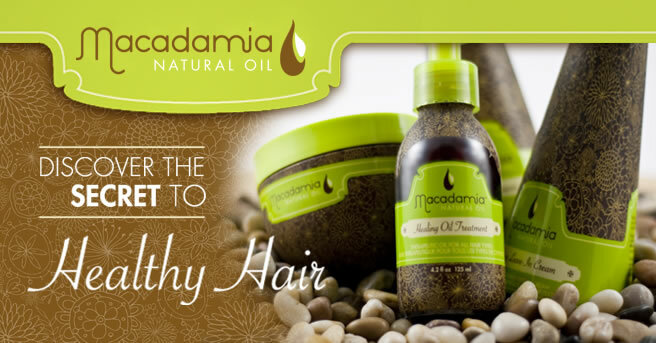 Together, macadamia oil and argan oil replenish the hair’s natural emollients with the high content of essential fatty acids found naturally in both of these exceptional oils. The combined benefits help to nourish and protect the hair from harmful UV rays while repairing hair follicles for improved elasticity and shine. Deep Repair Masque is a hair reconstructor that will penetrate and rebuild damaged hair for improved..
Flawless: The Ultimate 6-in-1 Cleansing Conditioner Reinvent the art of shampooing with Flawless,..
Control offers hold that lasts all day, is resistant to moisture and provides a soft touch without a..
a unique comb blends Healing Oil Treatment with a specially formulated resin for a detangler infused..
Macadamia Healing Oil Spray is an ultra fine mist that instantly absorbs into hair, weightlessly inf..
Infusing your hair with moisture and nutrients the therapeutic Macadamia Natural Oil Healing O.. This set contains a full sized Rejuvenating Shampoo 300ml , Moisturizing Rinse 300ml and Healing Oil..
Our fabulous Liquid Luxury Trio is a fabulous gift for anyone (or for yourself of course!) 300.. 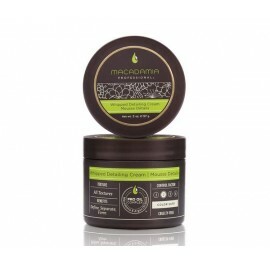 Kit Kit contains Macadamia Deep Repair Masque 250ml, Healing Oil Treatment 125ml + Oil Infused Co..
Macadamia Natural Oil Luxe Intro Box is a luxurious 9 piece collection of hair care essentials. 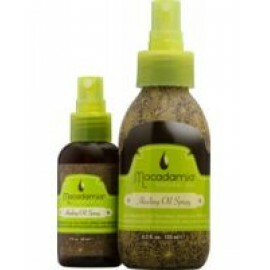 I..
Macadamia Natural Oil Luxe Repair Set is a collection of best-selling Macadamia Natural Oil products.. 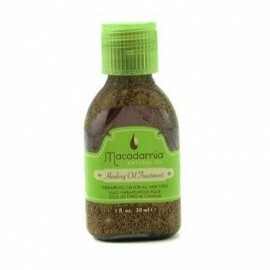 Enjoy your favourite Macadamia products with the fantastic travel pouch. Always on the go? 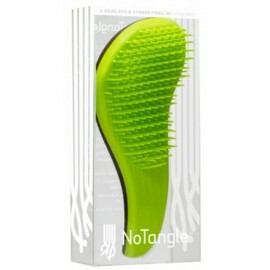 Need quic..
Moisturizing Rinse is a daily conditioner designed to nourish and detangle hair, leaving it manageab..
Detangling brush The No Tangle Brush utilizes a unique “flex bristle” design that g..
No Tangle Pre-Styler moisturizes hair and effortlessly eliminates tangles on contact. Amazingl.. 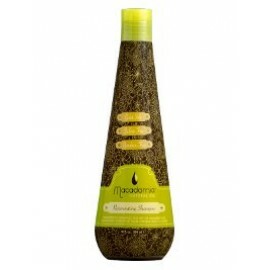 Contains Deep Repair Masque 250ml + No Tangle Styler Brush MACADAMIA NATURAL OIL DEEP REPAIR..
For all types of hair. Contains Natural Oil Healing Oil Spray 125 ml + No Tangle Styler Brush! Ma.. 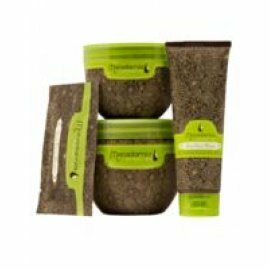 Kit contains Natural Oil Healing Oil Treatment 125 ml + Deep Repair Masque 250 ml + Oil Infused Comb..
Rejuvenating Shampoo is designed to add moisture and protection to all hair types and is excellent f..
Macadamia Volumizing Dry Shampoo, for the globe trotter on the go is the ideal mid-day pick-me-up th..
A lightweight, non sticky cream that activates and supports soft, ﬁne curls that tend to droop. 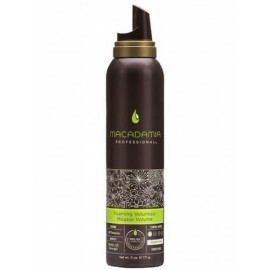 De-f..
Blow dry lotion smoothes, eradicates frizz and resists humidity. Provides thermal protection. 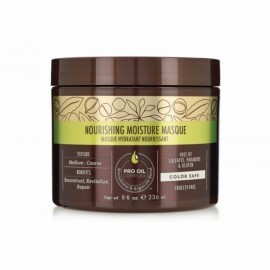 Deli..
A whipped, airy mousse that gives body, lift and shine leaving hair weightless w/no residue build-up..
Masque for dry and damaged hair Masque reconstructs, revitalizes and repairs. 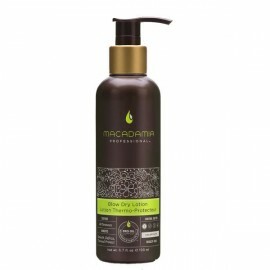 Offers ultra hydrat..
Oil spray nourishes, hydrates and protects. Infuses moisture, softness, protection & shine. Redu.. 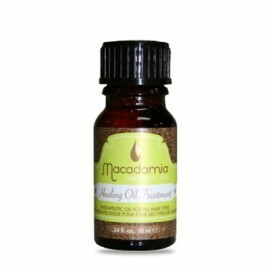 Hair oil nourishes, repairs and tames. 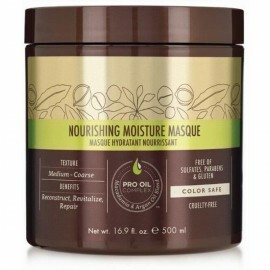 Infuses moisture, softness, protection & shine. 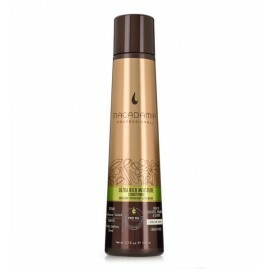 Reduces b..
Curl cream deﬁnes full-bodied, touchable curls. Controls unruly curls while still providing a light,..
Conditioner fortifies, defrizzs and tames. Offers superior hydration to hair and scalp. 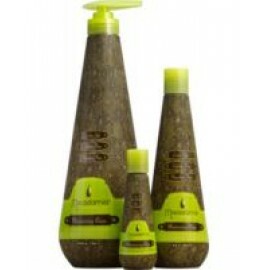 Promotes hea..
Shampoo for damaged and frizzy hair Shampoo smoothes, defrizzes and quenches. Offers superior hyd..
A whipped, creamy detailer that creates deﬁnition, pieceyness and texture w/no residue. Tames..